When we talk about Tata vehicles in South Africa there are mixed opinions about them, they can be described as cheap, out of date and inferior, ...as well as reliable, value for money and economical. The truth is all manufacturers have an idea behind the vehicle they produce, it's designed to be targeted at a certain market and meet certain needs of that market. When Tata was first launched in South Africa back in 2004 the Indica set the record for the most successful car launched in the country. I must say, with a lot of respect, that Tata is a company that knows what they are doing. In 2008 they acquired Jaguar Land Rover, and took the two dwindling brands to new heights, and they now stand abreast the worlds most desired vehicles. A few weeks ago, thanks to Tata North Coast, I tested the 2015 Tata Xenon 2.2 Double Cab 4x4. 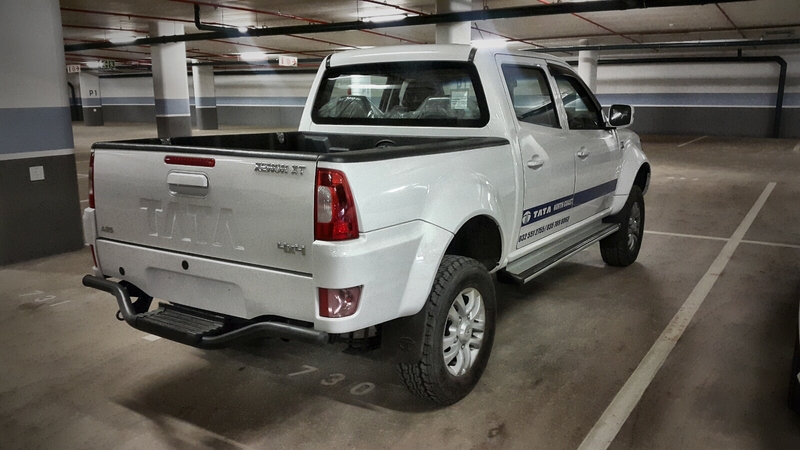 This is a smart looking bakkie, with a competitive design. 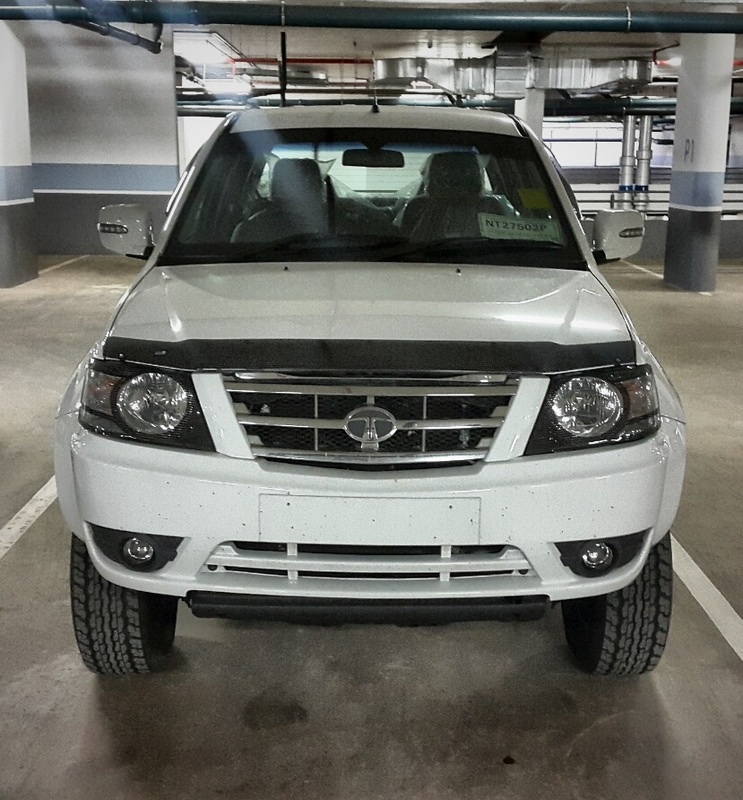 It has a commanding stance that tells you it means business with a massive 210mm standard ground clearance and 2.8m wheelbase it looks like it can take on anything without breaking a sweat. Standard features are fogs, alloys, side steps and bin liner, so straight out of the box it's already looking good. Inside the cabin it's basic but in a good way. Cloth trim is standard for the seats across the range and the dash, although made of completely hard moulded plastic, looks and feels solid, not like what we experienced in the Telcoline. There's a two tone finished that's got a good texture to it. 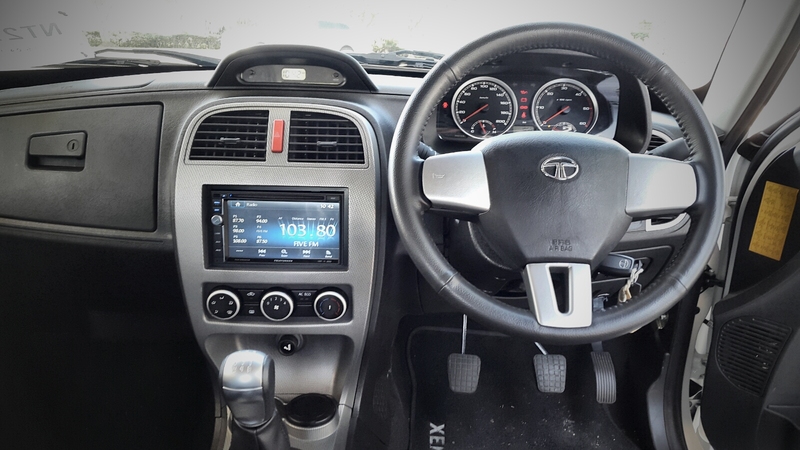 There's also a nice double din radio that comes standard with sat nav. 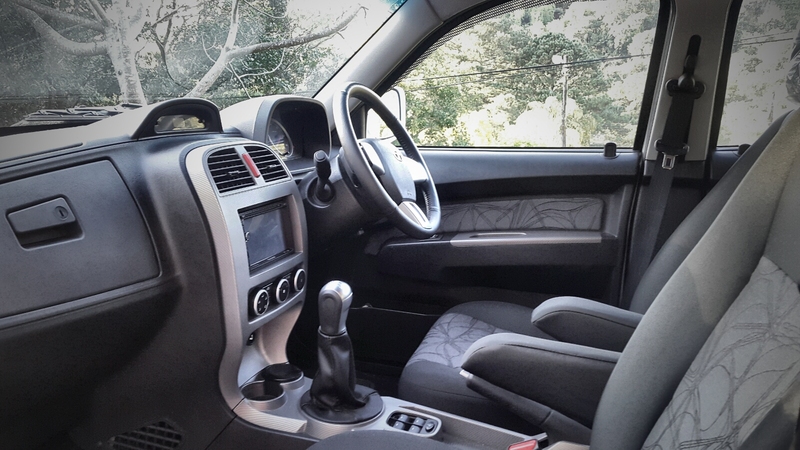 The steering is covered with leather which adds a bit more comfort to the driving experience. Now, the biggest downside to this deal is, believe it or not, when you actually turn that key to start the 2.2 liter turbo diesel engine. Just as you turn the key in the ignition, the boisterous diesel power plant comes to life, with a heartbeat that resembles the idle of an old Bullnose Mercedes, and I couldn't help wondering if I would fancy listening to that sound for the next couple of years? 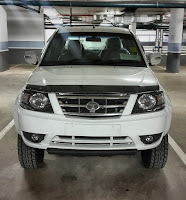 I reluctantly put it into first gear and took off,... the double cab surged forward with surprisingly quick acceleration, catching me off guard. I quickly erased whatever perception I had of the vehicle and with renewed furor I ran through the gears with disbelief as I was finding it a bit difficult to believe that this much of power is coming out of a Tata bakkie. The 110kw power plant keeps the driving experience interesting, on the highway the double cab feels at home in the fast lane, overtaking is a breeze, without even dropping gears. Handling requires a little bit more concentration though, due to the hardened suspension setup. But I suppose this gets better with a load. I was unable to get a accurate reading of the fuel consumption, due to the lack of a on-board computer that can give me the information. But I did manage to do a little over 400kms on half a tank of diesel (the double cab is fitted with a 70 litre tank). And I managed to do that without even thinking about driving economically. 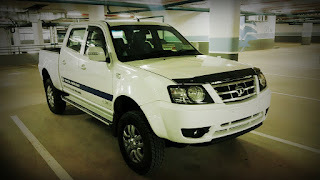 As for its 4x4 capability, I'm not an experienced offroader, but I did put its capabilities to the test, and was impressed. The on the fly switch made it easy to select the correct mode, and I managed to put the bakkie in hairy situations, but it confidently got itself out again. In conclusion, respect has to be given here. This is a fine machine, with adequate comfort features and performance that will rival most the high end manufacturers. Tata has the Xenon XT 4x4 Double Cab on offer for R294k (2015), which gets you a 5 year/75 000km service plan and a 4 year/120 000km warranty. The 110kw power plant keeps the driving experience interesting, on the highway the double cab feels at home in the fast lane, overtaking is a breeze, without even dropping gears.